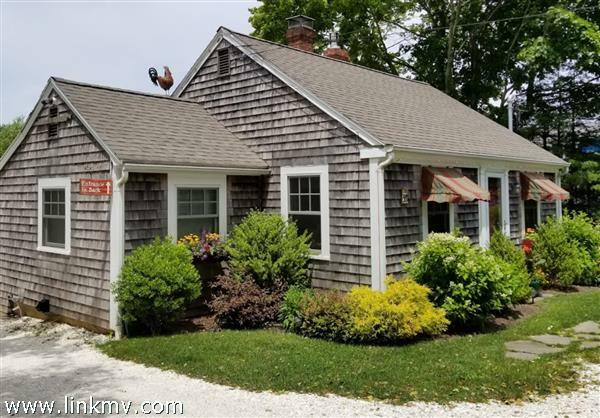 Wonderful opportunity to purchase a renovated Cape in a very private 2 acre setting with all the amenities Mink Meadows has to offer. 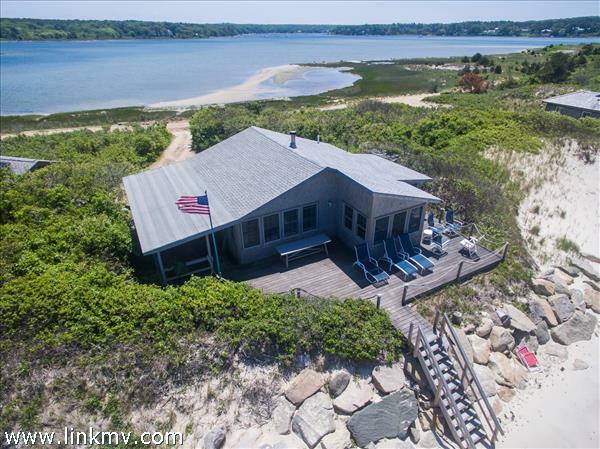 The nearby sandy, association beach will provide some of the best island swimming, clamming, fishing, and panoramic sunset views over the Elizabeth Islands and Woods Hole. 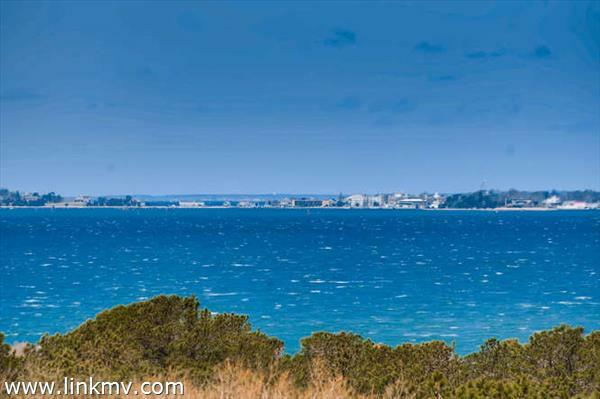 This is the perfect spot for the avid golfer, walker, jogger, or beachgoer. 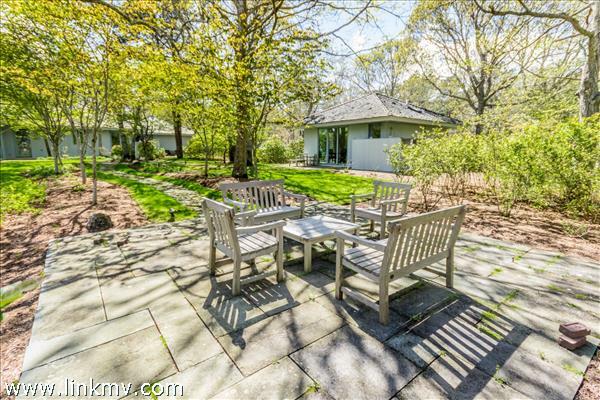 Enjoy the expansive deck overlooking 2 acres of serene woods, perfect for morning coffee, afternoon reading, or evening cocktails and dinners. Flexible floorplan with large bedrooms on first and second floors. 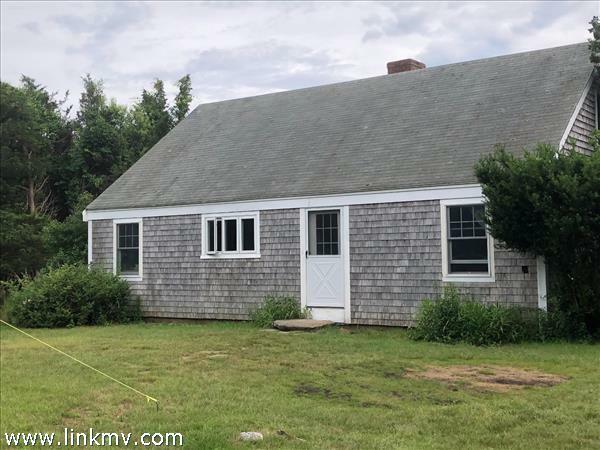 In addition, there are numerous expansion possibilities with a potential guest house, completion of space over the garage, or completion of the full basement. 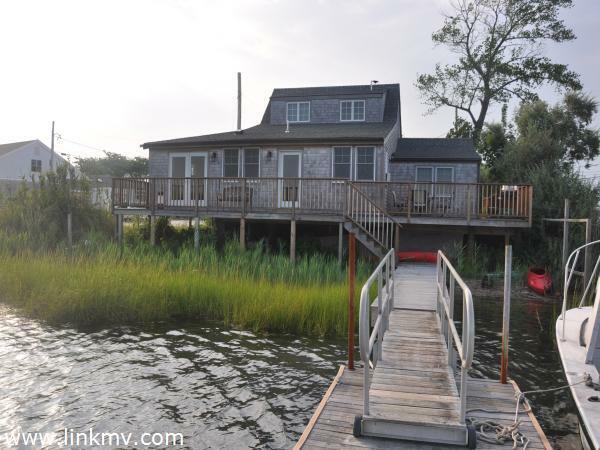 Cozy in the winter with a new wood burning stove, this is the perfect year round island getaway. 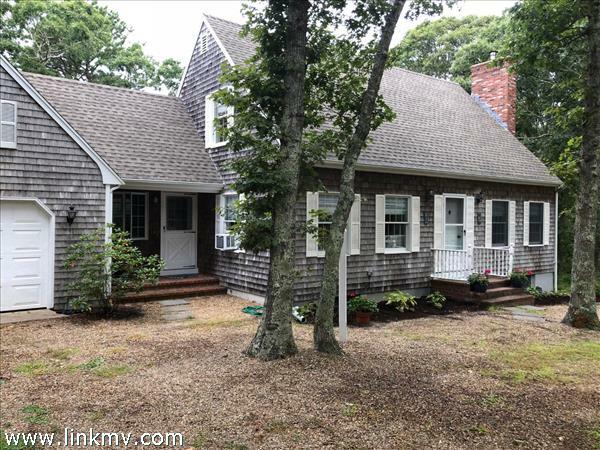 Although you feel like you are in your own world, you are just a short walk to town, Mink Meadows Golf Club, the West Chop Community, and the Vineyard Haven Yacht Club. 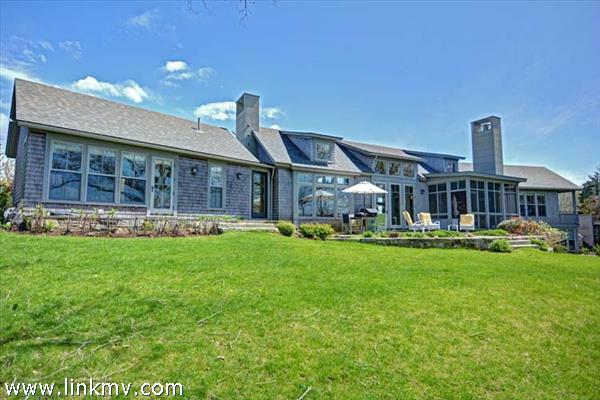 For additional Mink Meadows Golf Club information please contact listing broker. 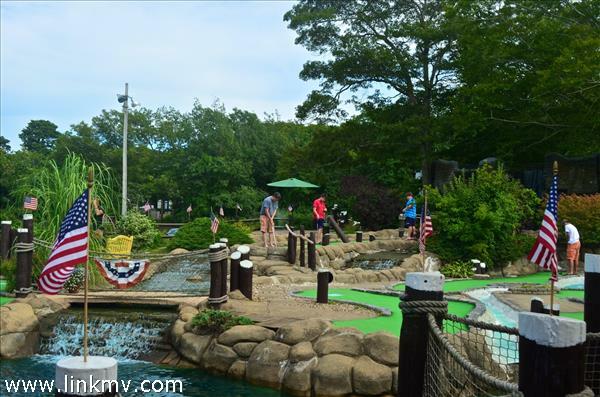 Mink Meadows is truly a hidden gem not to be missed! 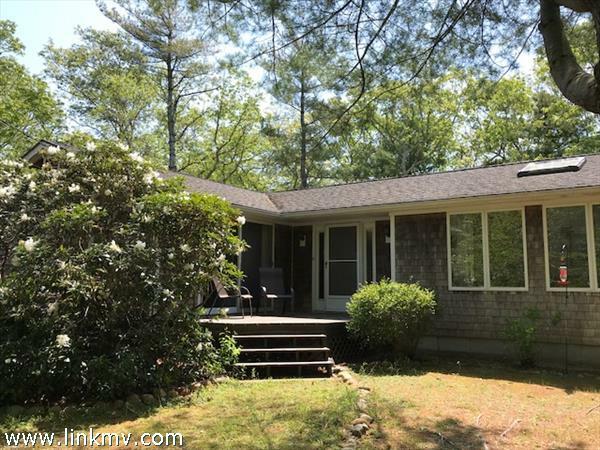 Located halfway between West Chop and the Village of Vineyard Haven this meticulously maintained contemporary provides a wonderful living experience with the ability to walk to the neighborhood beach via a deeded path to Main Street from the private back yard. 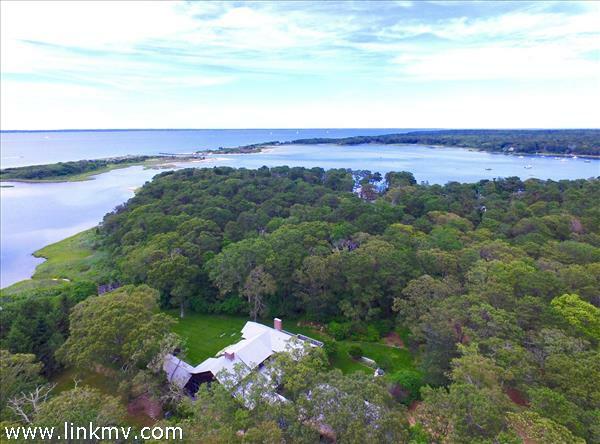 Location is everything - affording access to the West Chop Woods, Mink Meadows Golf Course, Vineyard Haven Yacht Club and the West Chop Tennis Club. 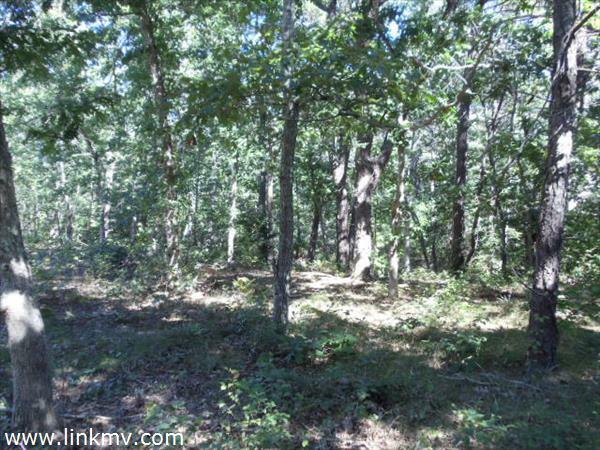 Set in a sunny glen surrounded by mature trees your privacy is insured. 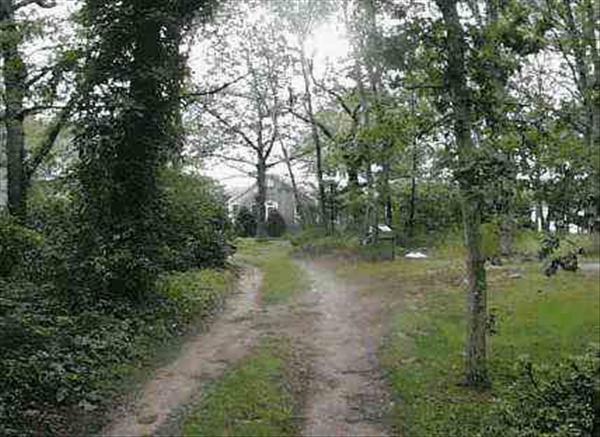 A winding driveway leads from the paved Holly Tree Lane to the house complete with ample parking for 5 cars. 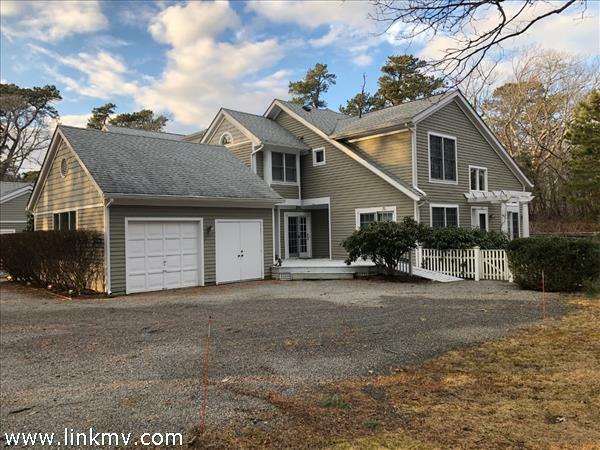 All new appliances (stove, refrigerator, microwave, dishwasher, washer and dryer), propane hot water heater, 2014 asphalt roof, new double car garage door; new front door and kitchen door to exterior. Some furnishings available separate from sale of property. 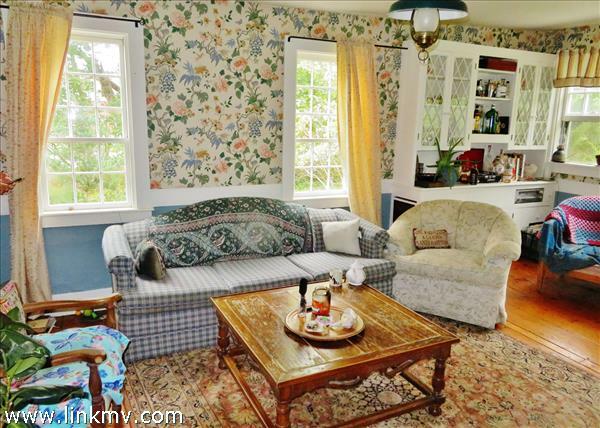 Excluded from the sale: dining room chandelier, master bath light fixture, refrigerator in garage. Vacation rental history on file. 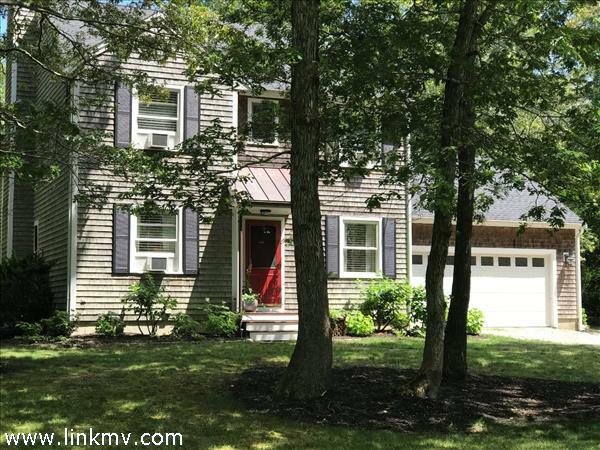 MINK MEADOWS - Overlooking the 3rd fairway, with access to all the amenities that Mink Meadows has to offer, this post and beam style home with wide plank pine floors throughout, is waiting for your personal touch. The house is set back and provides ultimate privacy. 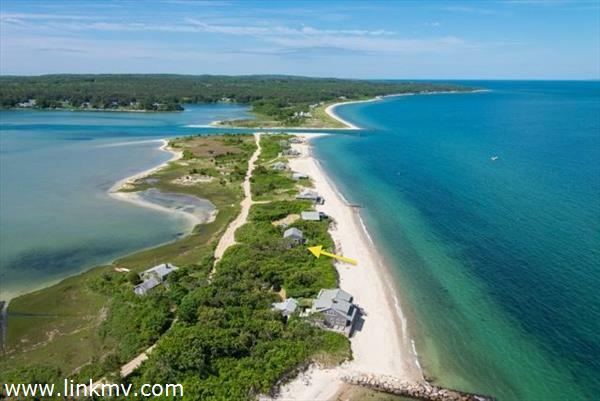 The nearby private association beach offers some of the Island's best swimming, fishing, and sunset views over the Elizabeth Islands and Woods Hole. 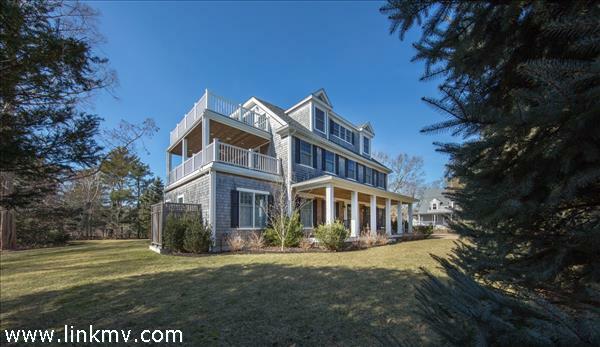 Start your day with a round of golf, kayak, paddle board, or simply enjoy the scenery of your back yard from the deck. 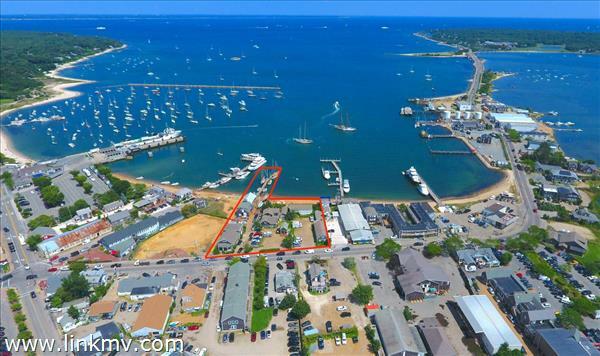 You will feel like you are in your own world, yet Main Street, the ferry, and the Vineyard Haven Yacht Club are just a short distance away. The master suite, which was added in 2005, occupies the right wing of the first floor, and is located in the back of the house. The den off the main entrance can be used as overflow living space or as an office for the master suite. The wood burning stone fireplace is the focal point of the living room and dining room, and where many cribbage games have been played over the years. The kitchen, another den with sliders to the deck, and a full bath occupy the left side of the first floor, with a door to the outdoor shower at the end of the hall. 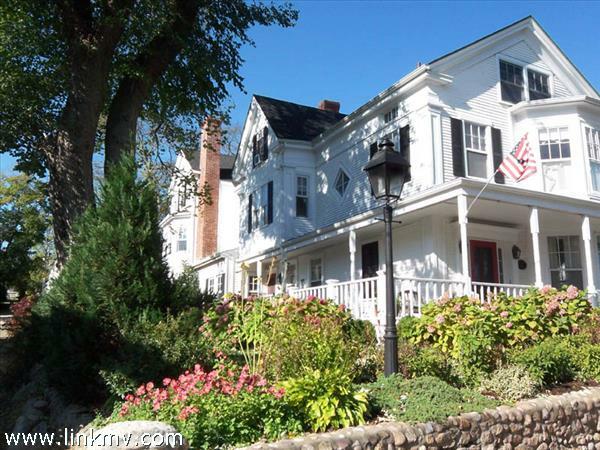 There are 2 guest bedrooms and a newly renovated full bath on the 2nd floor. 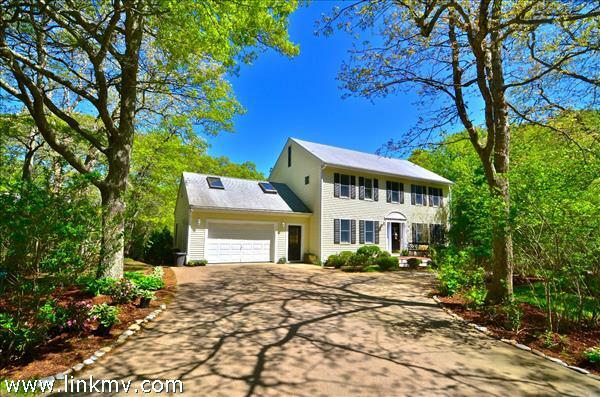 Completing this property is a full basement and a recently built 2 car garage. 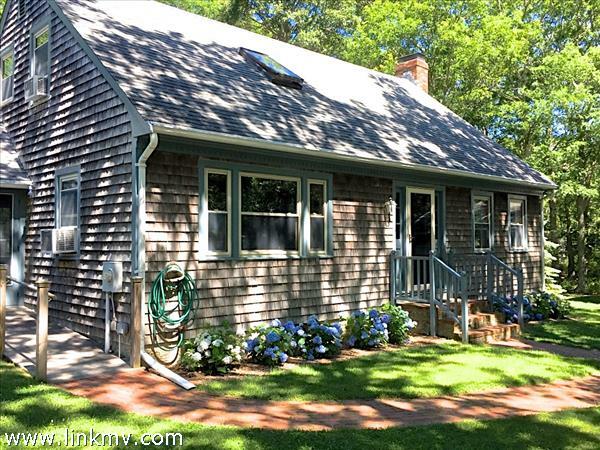 CLOSE TO VINEYARD HAVEN VILLAGE AND THE FERRY, this property has it all. 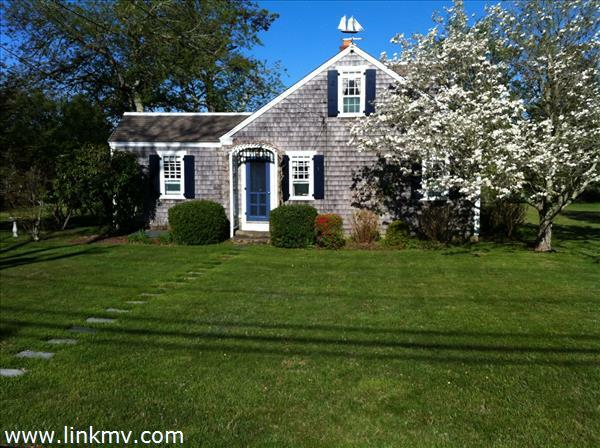 The charming home is ready for you to move in and experience Vineyard living at its best. 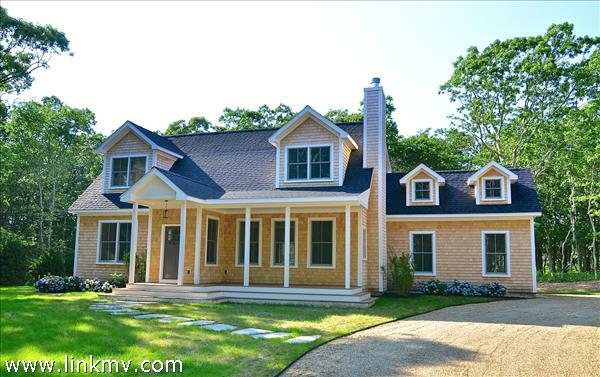 Set back from the road behind a clam shell driveway, the one-story appearance only represents the first floor of this architecturally renovated and professionally designed interior and landscaped yard. It shines in style, design, and finishes from one end of the home to the other. The open flow of the kitchen along with the connected dining room and cathedral ceiling living room visually and pragmatically double the living space. A "must have" is the master bedroom on the first level. This home has the luxury of a library that could also be used as a bedroom. 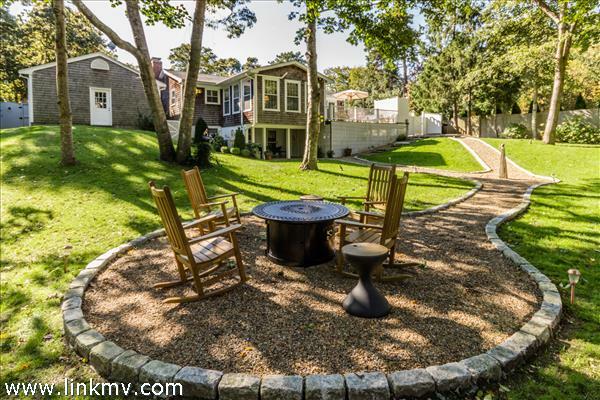 The lower level has been as beautifully finished and includes another living room, well-planned storage, two guest bedrooms, and a full bath, with its own outdoor patio.The park-like landscaping is a secluded space with a path to a fire pit, for evening entertaining. 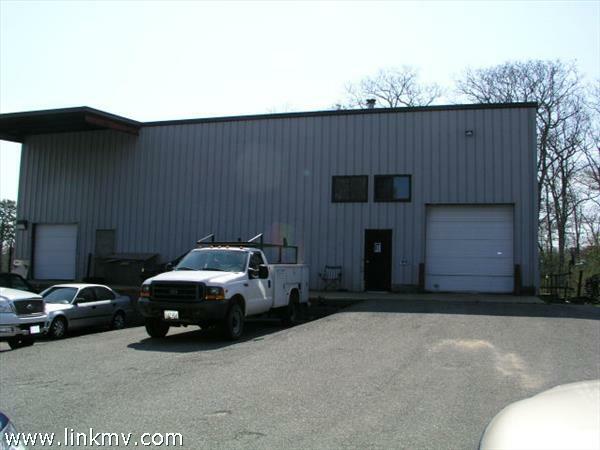 An over sized one car garage with ample storage is the finishing touch. 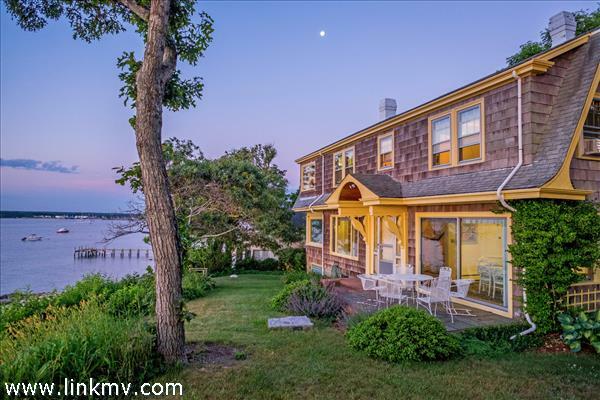 Embrace the romantic character of Martha's Vineyard and experience true relaxation at this irresistible beachfront cottage. 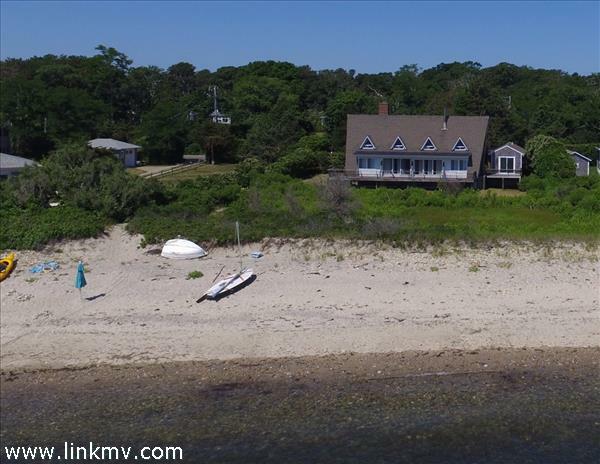 Set amongst the dunes, right on Vineyard Sound, this perfect two bedroom home is absolutely adorable with sandy beach, calm waters and active water views that include fishing and sailing activity, and ferry crossings to Woods Hole. 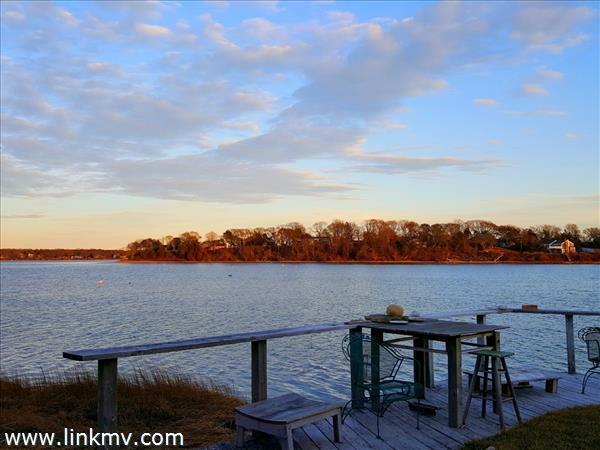 Sunsets on the waterfront deck are sublime, with ample room to enjoy with many. 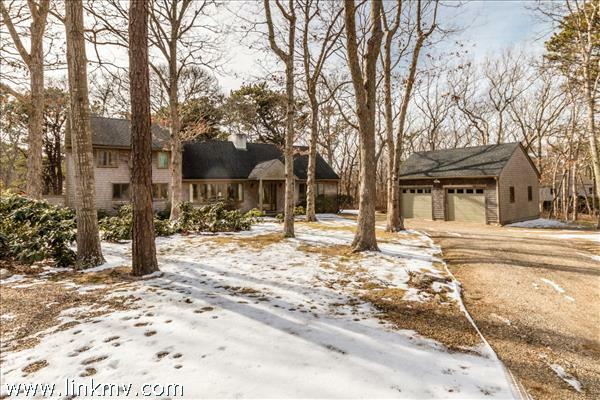 Inside the home, the open, sun-filled living room, with dining and kitchen, is fabulous and features high ceiling, white brick fireplace, hardwood floors, and immediate water views. 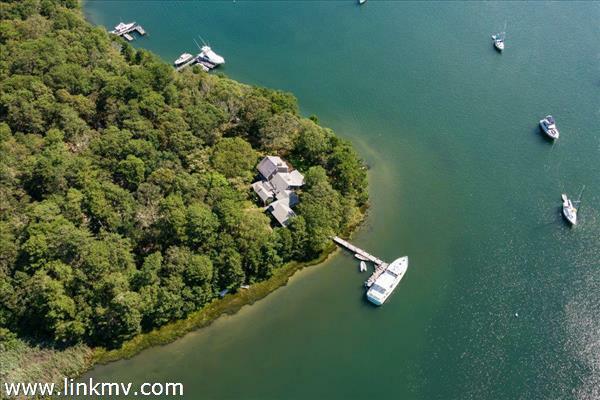 The property, 1.26 acres in total, also includes waterfront on Lake Tashmoo - an amazing recreational amenity. 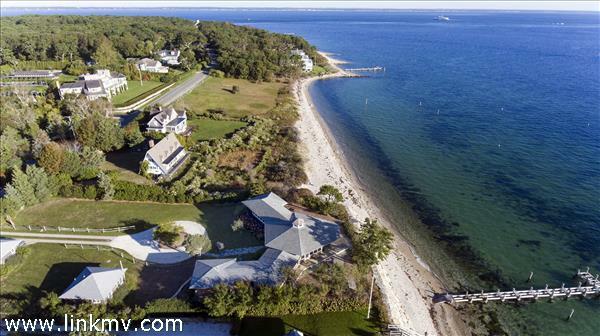 Next door is a total of 7 acres in conservation, owned by the Land Bank and the town of Tisbury, with 550' of beach on the Sound and +/-800' of waterfront on Lake Tashmoo. Reduced and Ready for Sale! 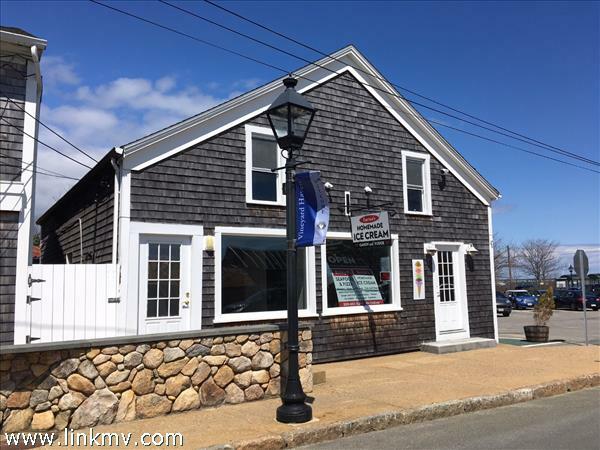 Location, Location, Location in the historic seaside village of Vineyard Haven. 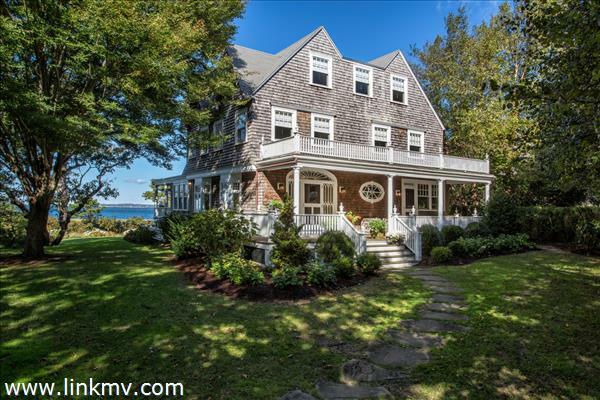 This majestic water view property offers living at its best in a vibrant area of year-round, well maintained and preserved period homes, one block to Main Street and Owen Park with deep water dock, beach, bandstand, and town moorings. Enjoy magical sunrise and moon rise over the ocean. 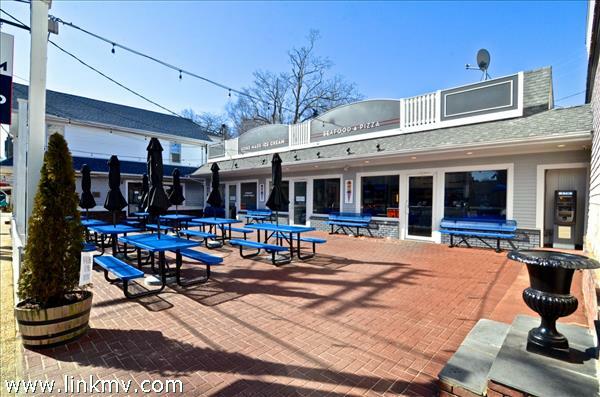 All the benefits of in-town ownership are mere steps away plus clay tennis courts and the elementary school. The ferry dock is ultra convenient for commuters and excursions to the mainland. 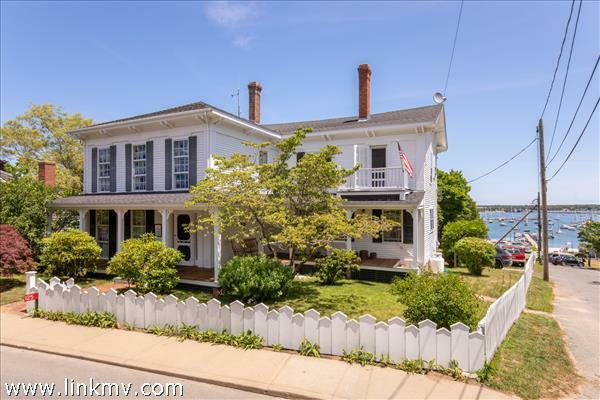 Located in the heart of the William Street Historic District with Bracketed-Italianate style, this beauty is known as the Captain Benjamin Cromwell House, later as the Clough House. 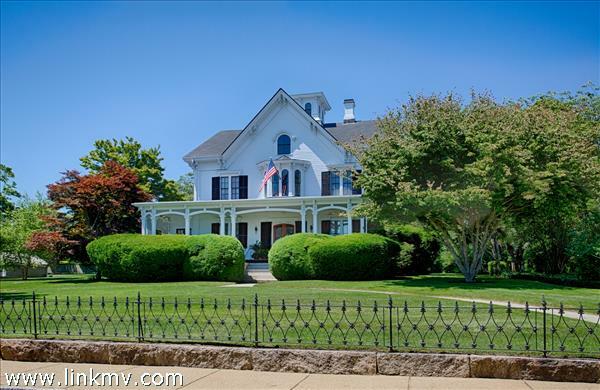 Perfectly proportioned cross gable and cupola, impeccably renovated and maintained, features include 6 bedrooms, 5 baths, oil heat, a/c, spacious vaulted third floor loft, and cupola, plus guest cabin studio-style with kitchenette, full bath, a/c unit, and Rinnai heat. 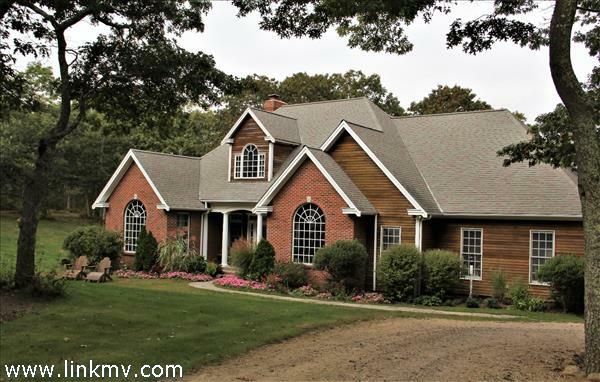 A two car garage, original out house, and his and hers outside shower complete the .66 acre manicured grounds. As the captain of the Island Line transportation service with steam-powered side-wheelers, the Eagle's Wing and later the Monohansett, this property was an emblem of Captain Cromwell's success and enhanced by its prominent physical setting with surrounding decorative caste iron fencing and grounds. 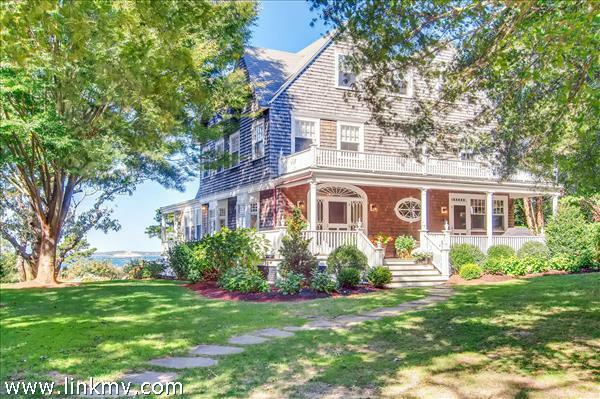 The architecture, water views, spacious front veranda, interior spaces with 9' and 10' ceilings, crown molding, gleaming antique wood floors, and history will captivate the attention of the most discerning buyer. 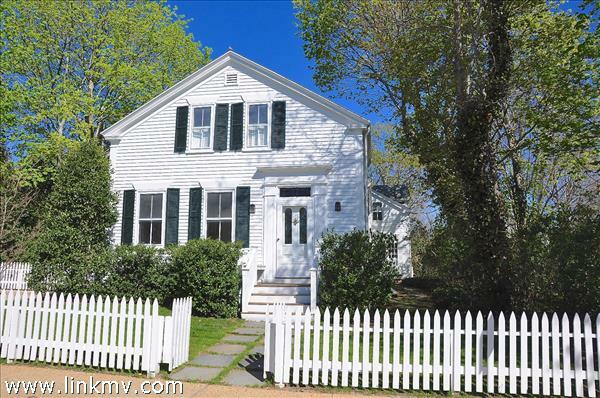 The original village of Holmes Hole became the Town of Vineyard Haven in 1871 and later Tisbury. William Street was the second street laid out by the village in approximately 1831 and has consistently maintained its look with its historic 19th century homes. Truly a rare in-town opportunity. Furnishings available separately. 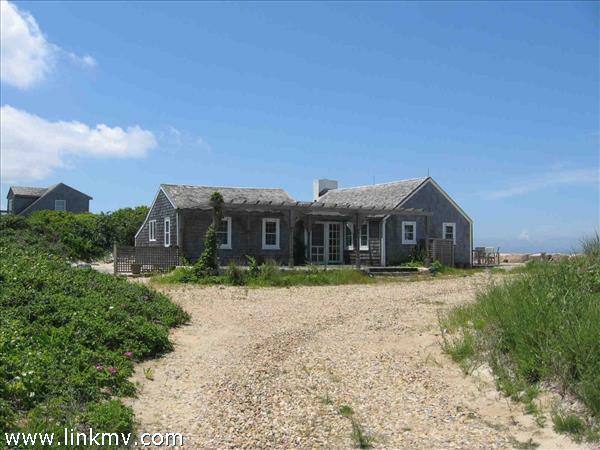 In summary, this property needs to be seen to be fully appreciated. Please see floor descriptions for more detail. 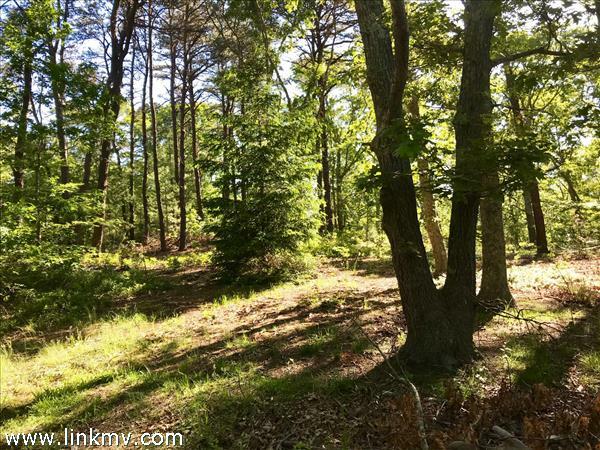 Picturesque hilltop lot abutting 80+ acres of conservation land to the north and east and bordered by stone walls to the south. 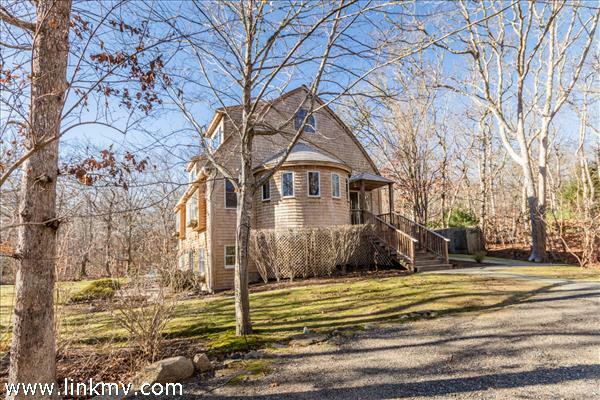 The building site offers opportunities for south-facing walk-out basement and a winter view of the freshwater pond below on the abutting Land Bank property. Quiet and peaceful at the end of the road. 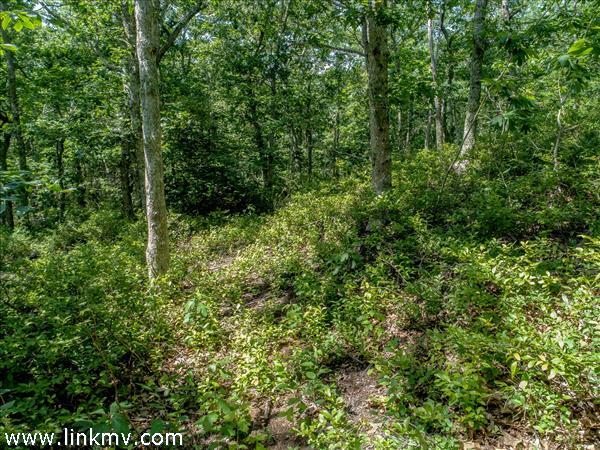 Miles of trails in your back yard. 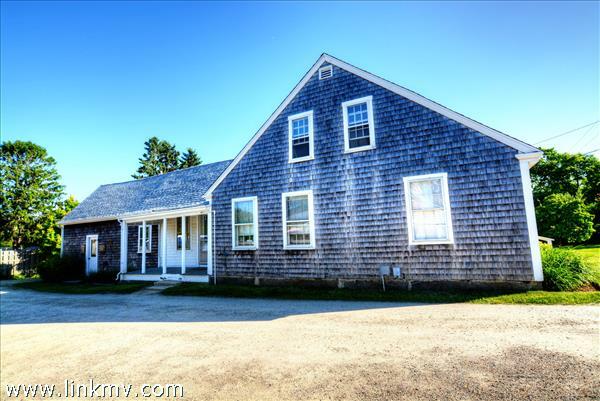 Away from it all yet only a short drive to Tisbury town center or Lambert's Cove Beach. Serene living in an off-Music Street setting. 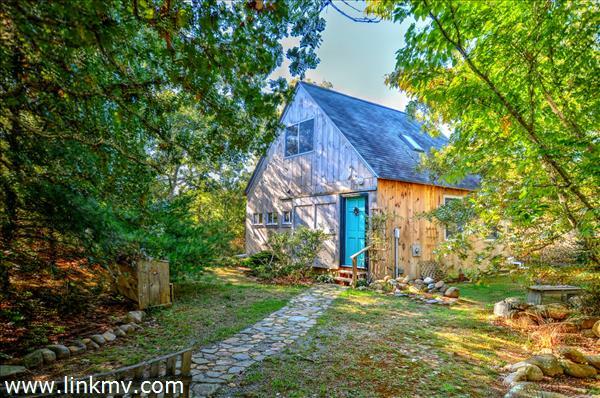 Existing center chimney house can be remodeled, expanded or rebuilt completely, to further compliment the beauty and serenity of this quintessential West Tisbury sought-after location, Detached studio grandfathered. 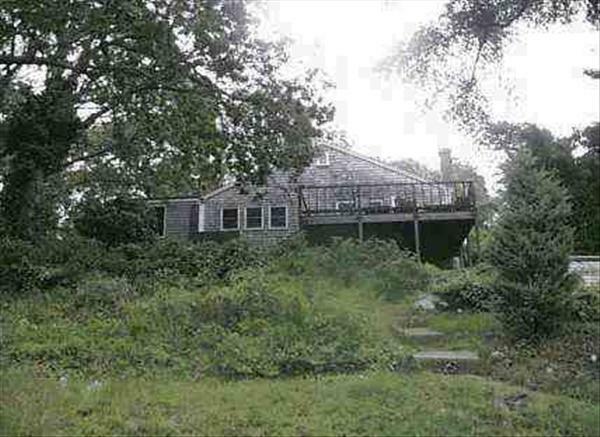 Property backs on to the Tiasquam River. 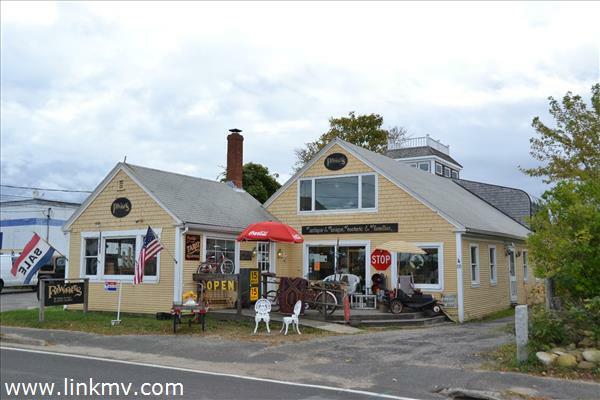 Alley's General Store around the block, Lambert's Cove Beach, and Sepiessa a short ride away add to the value of this beautiful site. Seasonal tenants in place through Labor Day . No drive ins. Must be accompanied by an RE Agent. Broker has ownership share. Sold as is.